A new service for used fuse welding and tipping mandrels that strips worn Parylene® and Teflon® coatings and applies PTFE Natural™ coatings like new is being introduced by Applied Plastics Co., Inc. of Norwood, Massachusetts. Applied Plastics Forming Mandrel Strip and Recoat Service strips the old Parylene® and Teflon® coatings from forming mandrels and applies a new PTFE Natural™ coating. 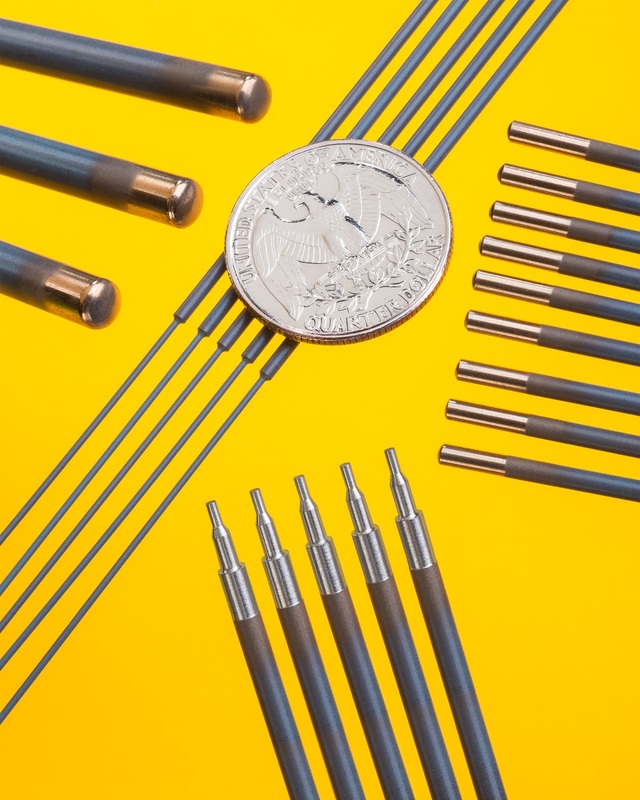 Featuring a smooth, anti-stick surface that withstands heat up to 300°C continuous, with excursions to 371°C, PTFE Natural™ coated forming mandrels provide a 0.05 coefficient of friction per ASTM-1894 to simplify catheter removal in fuse welding and tipping operations. Ideal for larger diameter mandrels 0.020” and up, Applied Plastics Forming Mandrel Strip and Recoat Service lets users recondition rather than discard worn mandrels which saves delivery time and eliminates grinding; especially with complex configurations. PTFE Natural™ mandrels are coated using a proprietary process which enhances their bonding surface and prevents flaking and cracking. Applied Plastics Forming Mandrel Strip and Recoat Service is priced according to coating requirements and quantity. Quotations are provided upon request.